I am so excited to announce that this month’s prize is a KitchenAid MINI Stand Mixer in Guava Glaze! Do I have an irrational love for a piece of kitchen machinery? Define irrational. My girl, Betty, (my 4.8L Kitchenaid) and I have been in a loving co-dependant relationship for the past 5 years, when my Mum and Dad surprised me (understatement of the century) with her beautiful ‘cranberry’ self one Christmas morning. It was the first Christmas since my brother had moved to Dubai, leaving my Mum and Dad feeling a tad blue and obviously desperate to uphold the affections of their only other child to avoid her from even remotely contemplating leaving the country – cue the most ridiculously generous gift and a very grateful Katie Pix. That morning, thinking Mum and Dad had already outdone themselves with the Trivial Pursuit 90s addition, new socks and a sewing box (yes, I am a 1920s stereotype of a housewife), we swiftly finished present unwrapping and began clearing away so we could move onto our traditional smoked salmon and scrambled eggs brekkie. Tidying away the strewn remnants of wrapping, Mum paused and pointed out a box behind the sofa – ‘Oh, Katie, it looks like there’s one more present’. Feeling as if Santa Claus had just revealed himself, I anxiously peeled back the paper to unveil Betty the KitchenAid. Oh. My. Goodness. 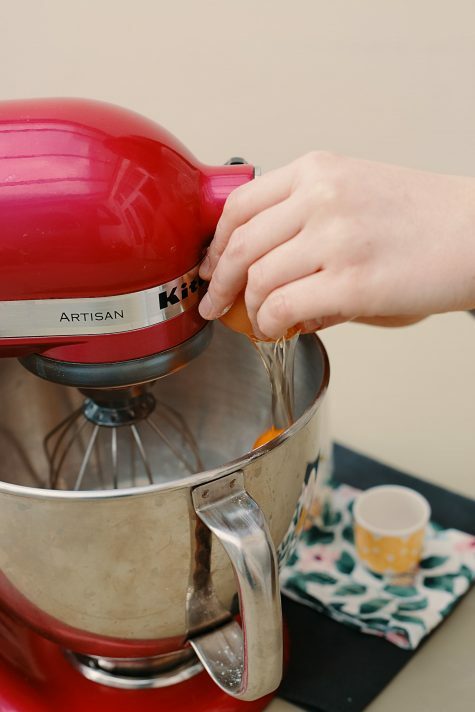 Now, I’m sure I was not alone when I thought the only justifiable time to be gifted a KitchenAid was on your Wedding Day, or if you are super successful and can afford to treat yourself. I’d seen it a million times on ‘The Great British Bake Off’, circled it in every John Lewis catalogue I’d ever browsed and plotted several burglaries of my next door neighbours, but all of a sudden… one actually belonged to me! Was I worthy? 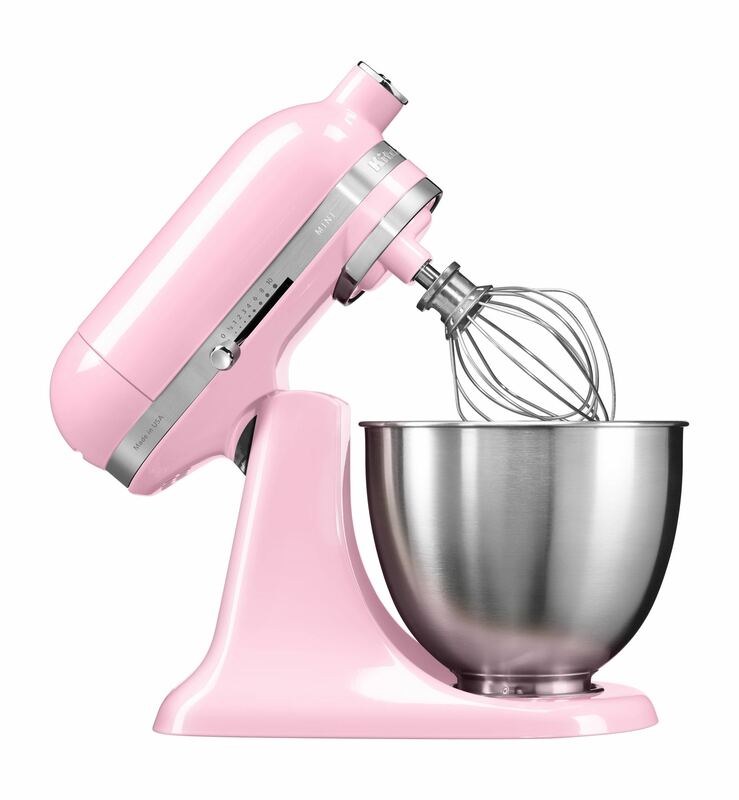 Or (more concerning) would I use this icon of the baking world enough to warrant its hefty price tag? The terms and conditions apply to the October Newsletter Giveaway promotion available on my website available at: www.katiepix.com (“Newsletter”). By entering this Promotion, you will be deemed to have read and understood these terms and conditions and will be bound by them. The Promotion is open to residents of the UK (England, Wales, Scotland and Northern Ireland) aged 16 or over, except for any employees (or family members of employees) of the Promoter, their families or anyone else connected with the planning or administration of this Promotion. The Promotion commences at 00:00 (UK time) on 30 October 2018 and closes at (UK time) on 23:59 09 November 2018 (“Promotion Period”). Entries received after the Promotion Period will not be counted. The winner will be notified by email within around 3 working days of the draw. 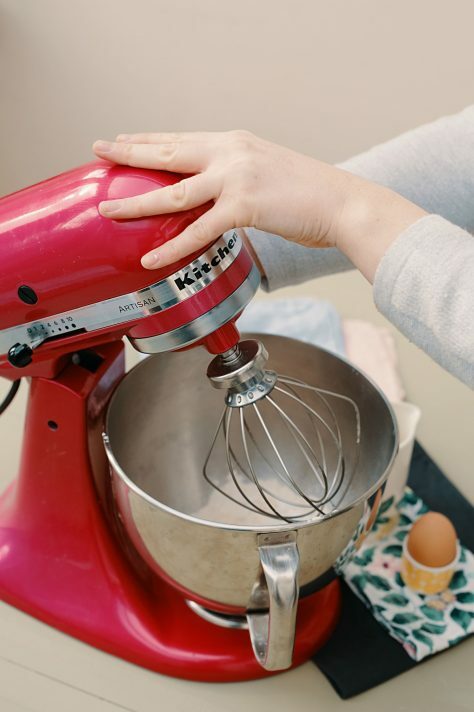 The prize is a KitchenAid MINI Stand Mixer, RRP. £449.99. Colour Guava Glaze. If any winner is not able to accept the Prize for any reason, or cannot be contacted within 14 days of the draw date, the Promoter reserves the right to award the Prize to another entrant. The prize will be fulfilled by Rare Breed Publicity. The winner’s name and contact email address will be shared with Rare Breed Publicity to fulfil delivery of the prize. For the names of the Prize winner(s), please contact katie.pix@gleamfutures.com within 30 days of the Promotion Period and state the name and date of the Promotion. There are certain things for which the Promoter does not accept any liability to you, and these are explained in the next two paragraphs. The law does not allow the Promoter to exclude or limit its liability for some things, such as death or personal injury caused by its negligence, or loss caused by a false statement where the statement is made fraudulently. The Promoter accepts full liability for these matters. Otherwise, the exclusions of liability described in paragraphs 16 and 17 will apply. References to the “Promoter” in these paragraphs (15, 16, 17) include all of the Promoter’s associated companies, agents or any other third party involved in the Promotion. Please note that this Promotion is in no way sponsored, endorsed or administered by, or associated with, Facebook, Instagram, Twitter, Snap or any other social media platform. You acknowledge that the social media platform on which this Promotion is hosted bears no responsibility for this Promotion and, to the maximum extent permitted by law, you release the social media platform from any liability whatsoever in connection with this Promotion. You understand that the information you provide is provided to the Promoter (and its affiliates, associates and agents where applicable) and not to the social media platform.